Author(s) Guido van Rossum and Fred L. Drake, Jr. 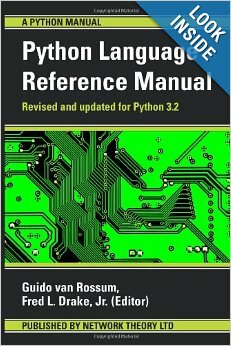 This manual is intended for advanced users who need a complete description of the Python 3 language syntax and object system. It describes the syntax of Python 3 and its built-in datatypes and operators. Python is an interpreted object-oriented programming language, suitable for rapid application development and scripting.